The Building Department ensures that construction projects conform to the adopted building codes and Flood Control Ordinance. 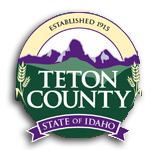 We have adopted and are operating under the 2012 International Building Code (IBC) & the 2012 International Residential Code (IRC) for determining and enforcing the quality of construction in Teton County. Complete codes are available in the building department. Please contact the Building Department directly for fee questions and calculations.